3: Brian Christopher, Kevin Lawler and Heather Lyn Lawler. 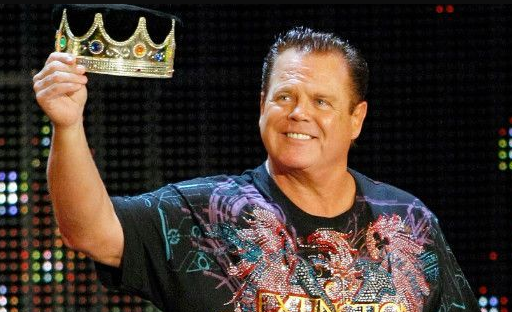 Passionate and enthusiastic wrestler, Jerry Lawler was born on 29th November 1949. 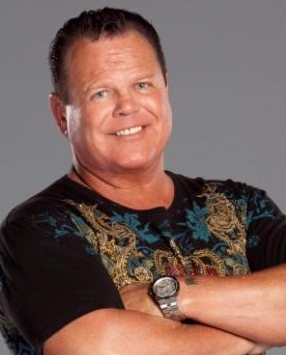 He was born and raised in Memphis, Tennessee, the city of U.S. His real name is Jerry O’Neil Lawler. He is the son of Hazel Lawler, his mother. His nationality is American. His astrological sign is Sagittarius. His religion is Christian. At a small age, he began his career with a wrestler. Jerry has got a great personality. Talking about his body, his height is 1.83 m. His weight is of 107 Kg. He has a balanced body with good health. He has an attractive body figure. His smiling face and charming personality have helped him to gain the attention of all the viewers. Jerry started his wrestling career in the year 1970. Later, in September 1971 he won his first championship and then he won NWA Southern Tag Team Championship. In the year 1974, 24th July he won the belt and the title of "King of Wrestling" and NWA Macon Tag Team Championship twice this time. On 7th March 1983, he won the AWA International Championship by defeating Austin Idol. On 9th May 1988, he won the AWA World Heavyweight Championship. Then he continued his career in WWF game where WWF provided him a perfect platform for his career. In the year 2001, he also made appearances on the Independent Circuit due to his absence from WWF. In the late 2001’s, he returned to WWE and served there as a commentator and part-time wrestler. On 31st March of the year 2007, he was inducted into the WWE Hall of Fame by William Shatner. Later on 2008, he was attacked by Kane in the episode of RAW. He also competed in the 2012 Royal Rumble match as the number 12 contestant, but later he was eliminated by Cody Rhodes. He was announced to be part of SmackDown broadcast team as a color commentator on January 8, 2015. Later, he was suspended following his arrest for domestic violence on 17th June 2016 until 1st July. After that, he returned to SmackDown Live to host the return of The King's Court on 17th January 2017. On 21st March 2018, he was suffered from a stroke at his home in Memphis and he could not speak for three days. He remained in hospital's ICU and regained his voice after three days. He is a married man. His married life is troublesome. He is married with Stacky Carter (Former Spouse), Kay Lawler (Former spouse), Paula Jean Carruth (Former spouse) and Lauryn McBride (Partner). Stacky Carter was his first wife. Kay Lawler was his second wife. They spent seven years together and after 7 years he divorced her and married Paula Jaen, his third wife. They married in the year 1982. They also got divorced after 9 years. He was in an affair with Joni Horn and he also dated Su Yung in 2010. His last wife is Lauryn McBride. They seem to be very happy with each other. The couple makes public appearances together often. There is no any sign of Separation between them. They are living peacefully. He also has three children named Brian Christopher, Kevin Lawler and Heather Lyn Lawler. This excellent wrestler makes good money from his work. The net worth of Jerry is estimated to have $7 million as of 2018. His salary is kept in privacy but there is no doubt in the mind of his supporters and followers he is satisfied with his earning.